A prosecution witness, Orji Chukwuma, in the ongoing trial of former Special Assistant on Domestic Affairs to former President Goodluck Jonathan, Waripamo-Owei Dudafa, on Tuesday, October 17, 2017 told Justice Mohammed Idris of the Federal High Court sitting in Ikoyi, Lagos, how Dudafa laundered several billions of Naira for former First Lady, Patience Jonathan. Dudafa is standing trial alongside Joseph Iwuejo, his ex-account officer, who allegedly aided him to perpetuate the fraud. Dudafa and Iwuejo, who also claimed to be ‘Taiwo Ebenezer’ and ‘Olugbenga Isaiah’, between June 2013 and June 2015, were alleged to have used different companies to fraudulently launder various sums of money to the tune of N5.1bn. At the resumed hearing today, Chukwuma, an investigator with the Economic and Financial Crimes Commission, EFCC, told the court how one Murtala Abubakar, a Bureau de Change operator, admitted having collected several million in dollars from Dudafa. “We discovered, in the course of our investigation, that Abubakar was directed to pay the various sums of money into different accounts provided by Dudafa,” Chukwuma said. 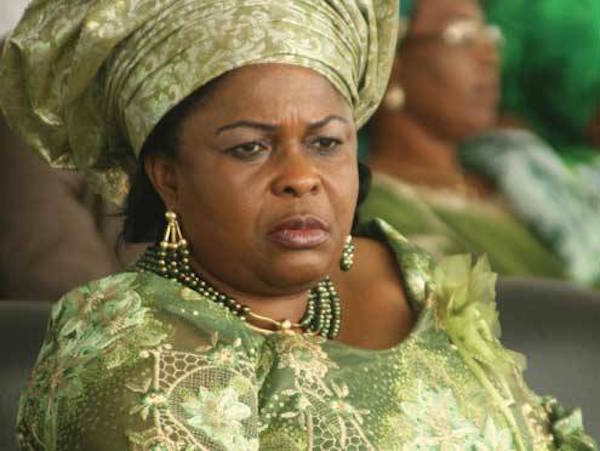 Led in evidence by the prosecution counsel, Rotimi Oyedepo, Chukwuma also told the court that the money was given to Dudafa at the Aso Rock Villa by Patience, the wife of former President Goodluck Jonathan. Giving further testimony, Chukwuma told the court that Dudafa used some companies: ABY Resources Limited; Avalon Global Property Development Company Limited; Pluto Property and Investment Company Limited; Ibejige Services Limited and DeJakes Fast Food & Restaurant Nigeria Limited to warehouse and manage the monies found in his possession. The prosecution witness further stated that the defendant did not declare his interest in these companies in his Asset Declaration Form, and that the monies found in his accounts at two new generation banks were proceeds of crime. Also, Dudafa, through his lawyer, filed an application urging the court to release his international passport temporarily to enable him to go for a medical appointment outside the country. In his response, the prosecution counsel, Oyedepo urged the court not to grant the application on the grounds that the EFCC had written to a Lagos State government hospital to examine Dudafa’s health and to determine whether he could be treated in the country or abroad. Oyedepo, however, told the court that he had yet to receive any response from the hospital. Consequently, Justice Idris adjourned to October 24, 2017 for the hearing of the application and November 14 and 15, 2017 for the continuation of trial.